One of the loveliest, most colorful redbuds we've seen. In early to mid-spring, rosy purple flowers open along its stems, creating a spectacular effect. The color show continues when its graceful, heart-shaped leaves emerge. 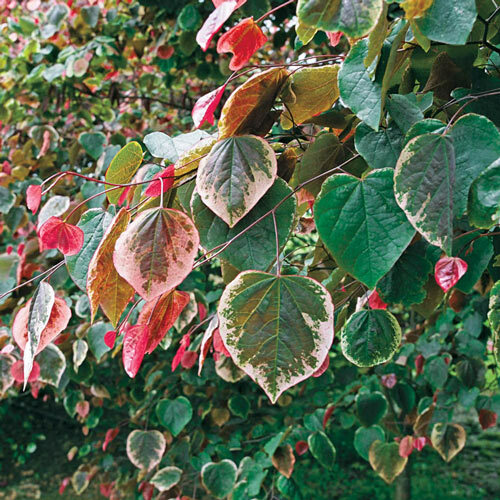 The variegated leaves open to shades of pink, red, white, purple and green. Growing 20-30' tall with a 25-30' spread, this lovely redbud has a beautiful umbrella-like growth habit. It's an ideal choice as a specimen plant—or group with other woodland plants. This new release is the result of work done by Dr. Tom Ranney at North Carolina State University. Cercis canadensis 'Carolina Sweetheart' PPAF. 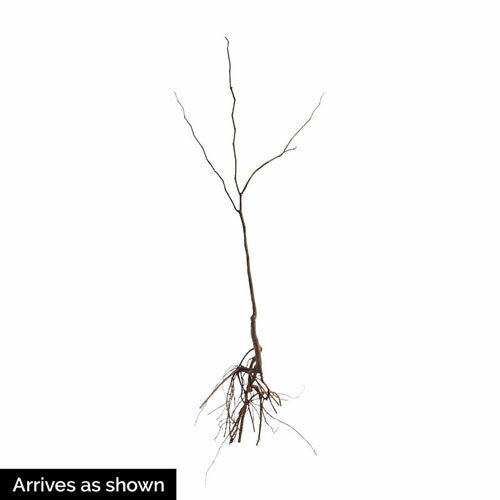 Planting InstructionsPlant as any bare root tree. Soil RequirementRich woodsy soil with plenty of organic matter. Additional InformationA flat lopped tree with a rounded crown. Ideal for small gardens or small areas such as terraces and patios. Flowers at a young age 4 - 6 years. Unique CharactersticsExcellent for the shady garden or border where they provide a prominent, graceful display. The beautiful flowers and over-all charm of this plant makes it an indispensible main-stay of any shady garden. If flower heads are left uncut they will provide good winter interest, or they can be cut to add a unique note to dried flower arrangements. The foliage is very ornamental giving this plant an attractive look during the whole growing season. An excellent three season plant.